The Hioki PQ3198 Power Quality Analyzer can be used for assessing power usage as well as for investigating power supply problems such as voltage drops, flicker, harmonics, and other electrical issues. Hioki portable power analyzers can measure single to three-phase lines with a high degree of precision and accuracy. New features include the ability to drive current sensors straight from the analyzer with enhanced recording capabilities. The PQ3198 analyzer can be used for single-phase 2-wire or 3-wire, three- phase 3-wire or 4-wire plus one extra input channel for voltage, current, power measurement (ac or dc). Sampling at 2 MHz, voltages up to 600 Vrms (transients to 6-kV peak) and currents from 500 mA to 5 kA can be accommodated, depending on the selected sensor. Comprehensive power analysis of multiple parameters can be made in accordance with the IEC61000-4-30 Class A standard with high accuracy and continuous gapless recording. Voltage dips, swell, inrush, transients to 0.5 μsec, flicker, harmonics, distortion, K factor, etc. can all be analyzed and displayed via the 6.5-in TFT LCD. The broadband voltage range allows high-order harmonic component measurements up to 80 kHz. 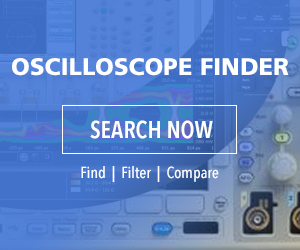 In addition to 50/60 Hz, the PQ3198 can measure a line 400-Hz frequency. An optional battery pack allows continuous isolated use for up to 180 minutes. The Hioki PQ3198 Power Quality Analyzer simplifies the analysis of power problems: fluctuations in voltage, current, power, harmonics, and flicker when, for instance, connecting a highly variable system such as a renewable energy source or EV charging station to the grid. The data can be further analyzed with the included PQ ONE PC software. The GPS Option PW9005 can be used to synchronize the instrument’s internal time to UTC standard time. This capability eliminates any time difference between multiple instruments. The Hioki PQ3198 Power Quality Analyzer provides critical robust support for field personnel who need to analyze power characteristics, reliably capturing a full range of power anomalies with an exceptional ease of use. Applications include verifying the power quality of EV rapid chargers, detecting intermittent or poor quality power feeds, assessing light flicker issues, testing for abnormal waveforms when switching to UPS power, solar power quality surveys, etc. Designed and manufactured by Japan-based Hioki, a world-renowned developer and manufacturer of innovative test and measurement instruments, the PQ3198 Power Quality Analyzer is available now from Saelig Company, Inc. their USA technical distributor. For detailed specifications, free technical assistance, or additional information, please contact Saelig 888-7SAELIG, via email: info@saelig.com, or www.saelig.com.